April 19-20 – Join Cindy Brandle Dance Company as we explore “A World On Fire”. Premiering on April 19 at the Gordon Gamm Theatre, CBDC takes on social privilege, racial discrimination, the #MeToo movement, LGBTQ marginalization and the constantly evolving antics of the current administration. 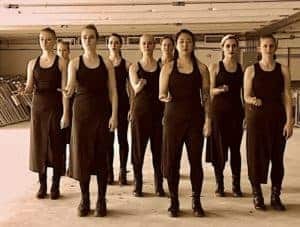 Utilizing fierce, compassionate, and athletic movement, CBDC’s choreography is inspired by the writings of local poets to create an evening of passionate, compelling dance and film.